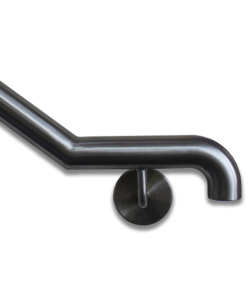 We hold a complete range of stainless steel handrail tube in all standard diameters. By maintaining strong relationships with our suppliers, we can source additional components or fittings upon request. These components allow for quick installation of even the most complex and attractive stainless steel railings and balustrade systems. Material is available in both grades 304 (1.4301) and 316 (1.4401), and comes either in un-polished, satin polished or mirror polished finish.